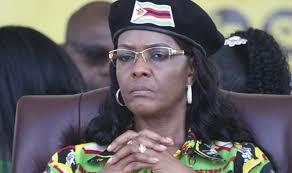 A witch-hunt is evolving at the University of Zimbabwe (UZ) where academic staff in the Sociology Department are alleging persecution at the hands of the institution’s leadership for questioning the manner in which former first lady Grace Mugabe was granted her PhD in 2014. Grace’s PhD was only published on the UZ’s website last week under her maiden name — Ntombizodwa Grace Marufu. At the time it was awarded, there was outrage from members of the public who suspected the authorities at the UZ could have been forced to grant the PhD against their will. These calls were rekindled in the wake of former president Robert Mugabe’s ouster in November last year. Just recently, academic staff in the Department of Sociology wrote to the Zimbabwe Anti-Corruption Commission (Zacc) requesting the anti-graft body to investigate circumstances surrounding the awarding of the PhD, and have even called for the resignation of UZ’s vice chancellor, Levi Nyagura. Lately, there have been nasty written exchanges between Nyagura and his lecturers who are now alleging persecution by his leadership. The UZ has embarked on a qualifications audit seen targeted at those who are raising dust over Grace’s PhD. The institution claims, however, that the audit was routine and in line with the requirements of Ordinance 51. One of the lecturers in the Sociology Department, Wilbert Sadomba, said Nyagura was baying for his blood for his role in penning letters to Zacc. Sadomba, who is also secretary for education in the Zimbabwe National Liberation War Veterans Association, was given less than four hours on January 8, 2018 to submit copies of his first degree after it was realised that the Department of Human Resources did not have it in his personal file. “Your memo dated January 8, 2018, tagged with a red urgent label with a deadline of less than four working hours, up to 12 noon of Tuesday 9 was not only impossible to fulfil but very intimidatory,” he wrote back. “I therefore do not take this qualifications audit as a genuine and normal administrative routine but a targeted step by the authorities to take unknown measures against me on flimsy, unfounded and illegal grounds of seeking a lower qualification for my appointment. “The timing is, to me not accidental but well-calculated. This action is triggered by a visit to the minister of Higher and Tertiary Education and Zacc and my participation as a member of the Sociology Department board to disown, denounce and expose awarding of Grace Mugabe’s doctorate that is fraught with criminal abuse of office,” said Sadomba, who claims to have been exempted from doing a bachelor’s degree. Controversy over Grace’s doctorate has embellished the UZ’s reputation amid claims that foreign nationals were snubbing the once-respected institution. It has also opened a can of worms with dissenting voices calling on the authorities to widen their probe to include the manner in which several top government officials and even academics obtained their degrees. Nine lecturers in the sociology department which granted Grace’s PhD, namely Rudo Gaidzanwa, Sandra Bhatasara, Julius Musevenzi, R Mate, I Gutsa, R Mandizha, Sadomba, W Ruparanganda and N Muparamoto, are threatening unspecified action if the doctorate is not withdrawn. In a letter to Nyagura dated January 11, 2018, the lecturers also alleged victimisation. “When you (Nyagura) make your response, please address the whole departmental board as expected and not responding to select individual members. We are concerned that the latter is victimisation of members of the department which action will cause us . . . against it in ways we will not specify,” the lecturers wrote. The letter was copied to President Emmerson Mnangagwa, who is the chancellor of all State universities. The lecturers have also sharpened their knives against Claude Mararike, the department’s chairperson, who supervised Grace’s PhD, accusing him of making unilateral decisions on the recruitment, renewal of contracts and terminations of temporary full-time and part time staff. They are therefore calling for his immediate retirement, alleging his appointment was not procedural and that his contract has been renewed without consulting the board. “Should our demands not be met, we will not recognise Mararike as chairperson and we will seek further recourse,” reads a memo penned by the lecturers. Born Claude Gumbucha Mararike, the former Zimbabwe Broadcasting Corporation employee is famous for co-hosting the programme Chikritsu neTsika with Gift Mabhaudi on the then Radio 2. He also featured on television programmes such as Nhaka Yedu and Living Tradition. Born in 1940 in Buhera, Mararike officially retired in 2005 but is still at the UZ on post-retirement work. He has previously said he, as long as his health is still okay, will continue working because his work is his passion. Mararike is a lecturer in rural development, indigenous knowledge and the sociology of mass communication in the Department of Sociology. The developments at the UZ come as Nyagura’s tenure has been extended by two more years notwithstanding pressure from students groups and lecturers for his resignation. Born August 26, 1946, Nyagura was first appointed vice chancellor in January 2003 on a five-year contract. Upon its expiry in January 2008, the contract was extended for another five-year term in 2008. In January 2013, it was again extended to allow him to serve a third term which ended on December 31, 2017. The latest extension will take his tenure to January 2020. According to the country’s labour laws, the retirement age is 65, which means at 71, Nyagura is well beyond his retirement age. In a notice, the UZ Council’s chairperson, Don Mathobi, said Nyagura has transformed the university “into a tranquil citadel of intellectual enterprise. He has entrenched work ethos deeply rooted in the standards of excellence, culture of service, efficiency, effectiveness and institutional relevance”.